Frank is cycling on the beach and sees something shining in the sand. He hopes it might be of value, but grimaces knowing it is only a pair of sunglasses. Frank gets off the bike, picks them up and turns them over. He makes note that they are made with care, not like the usual junk people throw away. Frank opens them, and on the inside of one of the ear pieces are the words, The World Darkly, in gold. Must be the slogan, he thinks. Frank looks around to see if anyone has noticed him pick them off the beach. There is only an old couple, pretty far away, walking in his direction. He furrows his brow, thinking maybe they are coming back to get them. He stuffs them into his parka pocket and continues the ride. Before he gets home, he wonders if he should turn the glasses in to the police. He decides against it. “Finder’s keeper’s loser’s weepers,” he tells himself. After a hot dog dinner, Frank remembers the glasses in the pocket of his parka. He gets them and puts them on in front of his mirror in his bedroom. To his surprise, Frank cannot see himself through the lenses and whips them off to make sure it is not he who has disappeared. Very strange, he thinks and puts the glasses on again. Although Frank cannot see himself, he can see some special symbols crawling around the inside of the lenses. They are racing, and Frank touches the top of the frame since he thinks it might be a good idea to take these things off. As his finger meets the frame, the symbols stop moving. A lift of his finger causes the symbols to begin crawling again. “I can control them,” he says. Then he repeatedly touches the frame and then not. He comes to believe his finger controls the movement of the symbols. He also experiments and sees that a light touch slows the symbols and a heavy touch stops them. Frank does not know what the symbols mean, but he is glad that they are under his control. Frank removes the glasses and reaches for his phone to look up one of the symbols on Google to see if there is an answer. He types in the symbol that he remembers which is a T. The answer comes back quickly that T stands for AT&T, and it is the symbol for the New York Stock exchange information on the company. Frank sees that the stock price is thirty-three dollars and twenty-one cents. He does not understand any more of the information but is satisfied that he found out what the symbols mean. He will test others later, but for now, Frank is satisfied he has broken the code. He puts the glasses on and sees that the symbols are crawling past again. He slows them down until he comes to T once more and stops. Underneath T, there is what looks like a price and a fraction. The price is thirty-five and seven eights. In high school, he learned that seven eights are almost one, so he is assuming the stock price is almost thirty-six dollars. That can’t be right, he thinks. I just looked on Google, and the price was thirty-three dollars and twenty-one cents. Maybe these numbers on the glasses aren’t prices. He sees a day and date in the upper right-hand corner. The day is Thursday, and the date is August fourteenth, twenty-seventeen. Frank removes the glasses. Today is Wednesday, August thirteenth and he comes to the realization these glasses are telling him information about tomorrow. He puts them back on and finds T again. “Sure enough,” he says. “This number is the price tomorrow.” He scans for more information, and in addition to stock prices, he also sees there are news headlines. The headlines jumping out at him contains the information about one winning ticket sold for the Mega Millions jackpot. Further, the story identifies the prize as five hundred million dollars. He scrolls down like he did with the stock symbols and comes to the winning numbers. He picks up a pencil and writes them on the back of a paper bag found on his dresser: 3-4-5-18-22-31. Frank is about ready to bust knowing these are the winning numbers for tonight’s drawing. He looks at his watch and knows he must hurry to get to the convenience store to enter the drawing. He belittles himself for taking so long to look at the glasses. He jumps into his car and heads to the convenience store, cursing the whole way at the slowness of other drivers. After what seems like forever, he reaches the store, slides to a stop, rushes in and grabs a ticket to fill out. “Where’s a pencil?” The clerk behind the counter points to one on a chain. He writes the numbers and hands the clerk the slip and two dollars. After the police and EMS leave, a car pulls up to the front. The driver gets out and sees something shining in the bushes. He goes to investigate and picks up a pair of sunglasses. He looks at them and runs his finger on the gold embossed words, The World Darkly, on the earpiece. He looks around to see if anyone is watching and then stuffs them into his jacket pocket. He wonders if he should turn them in, but decides he should not. “Finder’s keepers, loser’s weepers,” he says. He thinks no one hears him. I don’t know how I missed this story by John Howell, but it is exceptional! FEBRUARY BOOK OF THE MONTH! A hot Texas summer, dim-lit honky-tonk bars, a young naïve fledgling go-go dancer and a wild rebel Texas musician set the stage for this story. 1970 in Abilene, Texas finds young Darlina Flowers trying to figure out how to fit into the world she is most attracted to – the nightlife, live music and go-go dancing. Luke Stone, a veteran Texas Musician believes he’s lost all reason to care about his music career, his health and most especially his heart. A chance meeting with Darlina changes everything. But, is it too late? Has fate already determined the outcome? 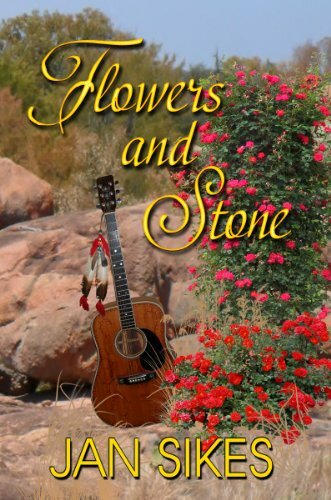 Join Luke and Darlina on a passion-filled journey up and down Texas roads while Luke and his band entertain crowds along the way. To learn more about this month’s BOOK OF THE MONTH and the Author, please click HERE! Be sure to pick up your own copy!